West Star Aviation plans to invest $22.5 million into an air maintenance facility at Chattanooga Metropolitan Airport with plans to hire up to 225 people within five years. The company will provide maintenance and repairs to private aircraft along with other services. Chattanooga Airport officials this afternoon were expected to approve a ground lease at Lovell Field for the company. Robert Rasberry, the company's chief executive, said wages are expected to average about $26 to $27 an hour. Plans are to service private aircraft from the eastern part of the United States, the Caribbean and even Europe, he said. Randy Boyd, the state's commissioner of economic and community development, said he is pleased to add West Star Aviation to the growing list of aviation businesses taking advantage of the wide range of benefits being located in Tennessee has to offer. "I am confident West Star will find the resources it needs to continue growing here, and I look forward to their ongoing presence in Tennessee," he said. 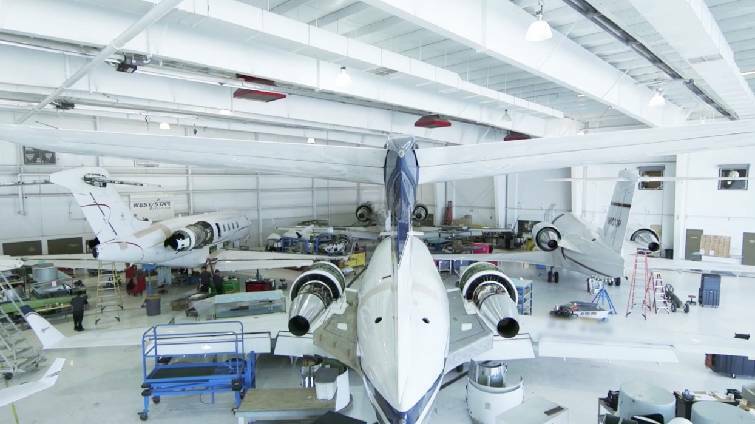 West Star Aviation specializes in the repair and maintenance of air frames, windows and engines, as well as major modifications, avionics installation and repair, interior refurbishment, surplus avionics sales, accessory services, paint and parts. A West Star Aviation hangar is seen in this company photo. The 40,000-square-foot Chattanooga facility will offer mixed-use space, which will be used for administrative and customer offices, engineering avionics, cabinetry and upholstery shop functions, as well as accommodate storage of customer aircraft parts. Rasberry said plans are to initially hire 25 to 50 people and grow the business over time. He said he'd like to see operations up and running by the end of the year. Rasberry's company is buying the hangar from Cleveland, Tenn., businessman Allan Jones, chief executive of Jones Management Services. "Having a state-of-the-art repair facility like this in Chattanooga will bring many CEOs to the area to have their company jets worked on," Jones said. Chattanooga Mayor Andy Berke said the announcement brings high-paying jobs to the city. "There's no doubt more and more companies, both big and small, are interested in Chattanooga because of the quality of life we enjoy in our city — and that interest translates into real opportunities for our local workforce," he said. Hamilton County Mayor Jim Coppinger said West Star will add to the diversity of businesses here. "We look forward to a long and lasting relationship with Robert Rasberry and his West Star Aviation team and the good, family wage jobs they will now create in Hamilton County," he said. There's a 15-acre site nearby the hangar that can be used for expansion, officials said. Charles Wood, the Chattanooga Area Chamber of Commerce's vice president for economic development, said local officials earlier toured an Illinois facility that West Star operates. "That gave us a window of what would happen here," he said. Boyd said an incentive package offered West Star it still being negotiated, but the state legislature took action earlier this year to help the deal. See more in Tuesday's Times Free Press.